All our intruder alarms, both wired and wireless systems, are installed to the highest standards, and comply with the SSAIB and current European Standards, and the Police APCO policy. A SSAIB certificate of conformity will be issued after completion of a new installation, confirming which grade your new intruder alarm system conforms to. A & S Alarms in Plymouth, are an approved SSAIB installer, we offer a free written quotation and demonstration. 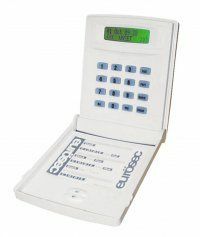 and will design your alarm system to suit your specific requirements. We also offer you a choice of external units in either red or white, together with a choice of either an audible system only, or a monitored system if you prefer, please contact us on 01752 700284 if you require any further information. All our new installations are covered by a full twelve month guarantee, for equipment failure, at the end of this period, you will be offered a routine maintenance contract.